Death From Above’s third album Outrage! Is Now is out, and it’s an electrifying listen. At least, to an extent. The Toronto punk rock duo might have taken a near 10 year hiatus, but since they returned in 2014 they’ve been churning out songs with urgency. Their newest project just might be your fall soundtrack — the perfect album to get you through the work week. While abrasive at first, the songs get better with each replay thanks to incredible contributions from the band members. Vocalist and drummer Sebastien Grainger wrote and sung his lyrics with passion; bassist Jesse F. Keeler slapped the bass like no other. 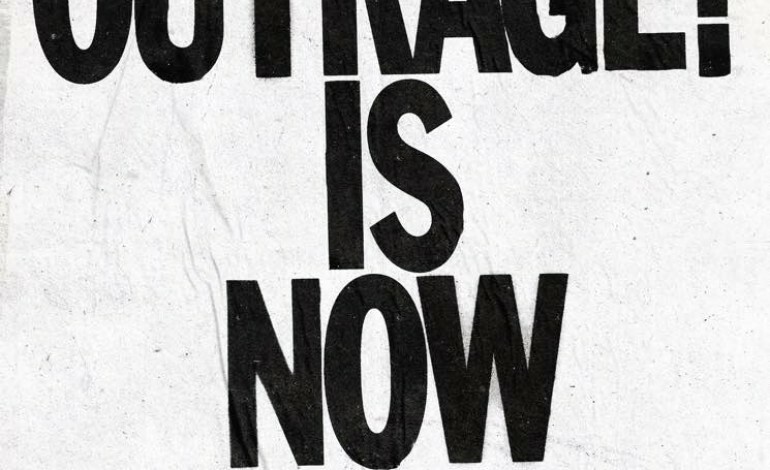 On Outrage! Is Now, they combine to create lush harmonies and poignant lyrics from start to finish, with each track proving it’s worth. Filled with rich textures, the catchy songs succeed with no shortage of complexity. The first three songs are probably the best on the album, beginning with “Nomad,” brash and unforgiving but still enjoyable. It’s followed by “Freeze Me,” an early single that’s definitely a banger. The song really represents the band’s distinct sound, showing their true progression since joining forces in 2001. “Caught Up” is easily the most ecstatic track, with a dynamic tempo change at the end that invigorates the listener. The title track “Outrage! Is Now,”is the most aggressive, throwing in moments of experimental electronic sounds while mixing it up with wild guitar riffs and a really heavy bass tone. It’s a lot of elements mashed into three-and-a-half minutes, but it all blends together very nicely. Toward the middle of the album are the most introspective tracks, showing a different side of the duo. “Never Swim Alone” strips away some of the heavy guitar chords that are prevalent early on in the album, but the song remains upbeat. It does get a little boring towards the end, but that shouldn’t stop the listener from marching on. What follows is “Moonlight,” the most sensual track on the album with rapid guitar strokes that take the song to another level. “Statues,” which slows down the tempo, is the most open track on the album complete with amazing vocals with zero anger lodged inside. Outrage! Is Now sets a high bar for itself early on, but fails to clear it in the latter stages of the album. “All I C Is U & Me” is forgettable, and “Nvr 4 Evr” is good but sounds too much like dad rock. However, the beach-rock vibe stands out on Outrage! Is Now, contrasting the upbeat tempo on other tracks. The finale, “Holy Books,” saves the end of the album with a dance-punk anthem The vocals and the way they drawl out matches perfect with the guitar riffs. While the album starts to fizzle out towards the end, the last track saves it by injecting excitement back into the project. Overall, however, decadent lyrics and pristine production make it a very strong album. It’s one of the better rock albums of 2017, and could ultimately go down in the books as a classic. Does it live up to the hype that the band garnered from their landmark debut album? Ultimately, that’s up to the listener to decide.